PRODUCT DESCRIPTION: 32 fl. oz. READY TO USE. Contains potassium salts of fatty acids (20%) and Pyrethrins (0.24%). This product kills pests through contact. 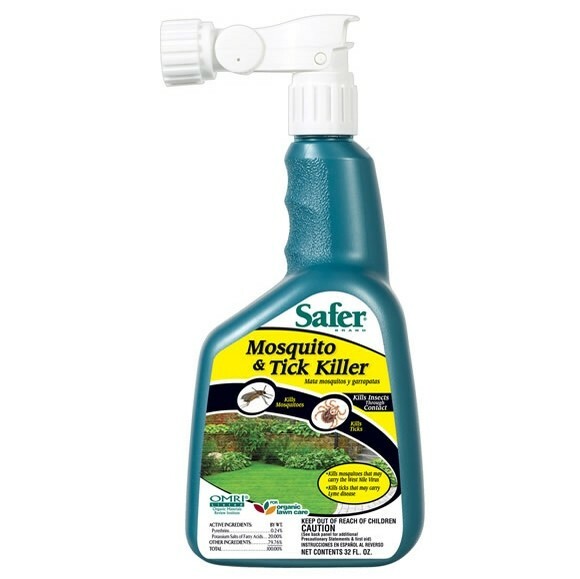 Kills mosquitoes and ticks on contact also kills chinch bugs, lawn moth, sod webworm, armyworms, European crane flies and other insects. Pests must be directly contacted at time of application in order to be effective. Contact as many pests as possible. 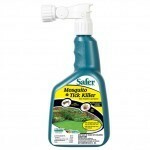 Use with caution on new tender foliage, and avoid spraying plants in full sun. OMRI Listed® and compliant for use in organic gardening. WHERE TO USE: Use as directed on lawns and turf grass to kill CHINCH BUGS, LANW MOTH, SOD WEBWORM, ARMYWORMS, MOSQUITOES, TICKS, EUROPEAN CRANE FLY and other listed pests. RATE OF APPLICATION: Spray bottle contents (32 ox.) evenly to cover 2500 sq. ft.